I'm getting quite excited about the upcoming Year of Mercy! Pope Francis' declaration of the Jubilee that begins on December 8th is a great opportunity for all that teach the faith to share the message of God's infinite mercy. I plan on running with this celebration and am making lots of activities and lessons to help kiddos and adults alike to accept mercy and be merciful in return. 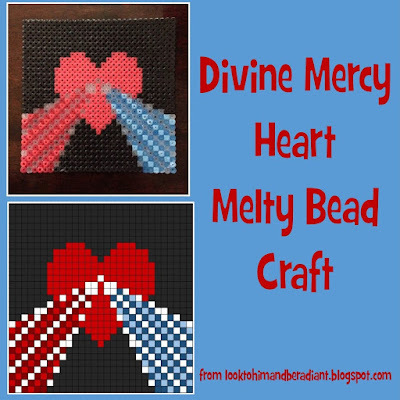 Have you done a craft with melty beads before? (melty beads- one brand name is Perler Beads.) We got a big donation of them at church this spring, so I was determined to plan some projects to put them to use. 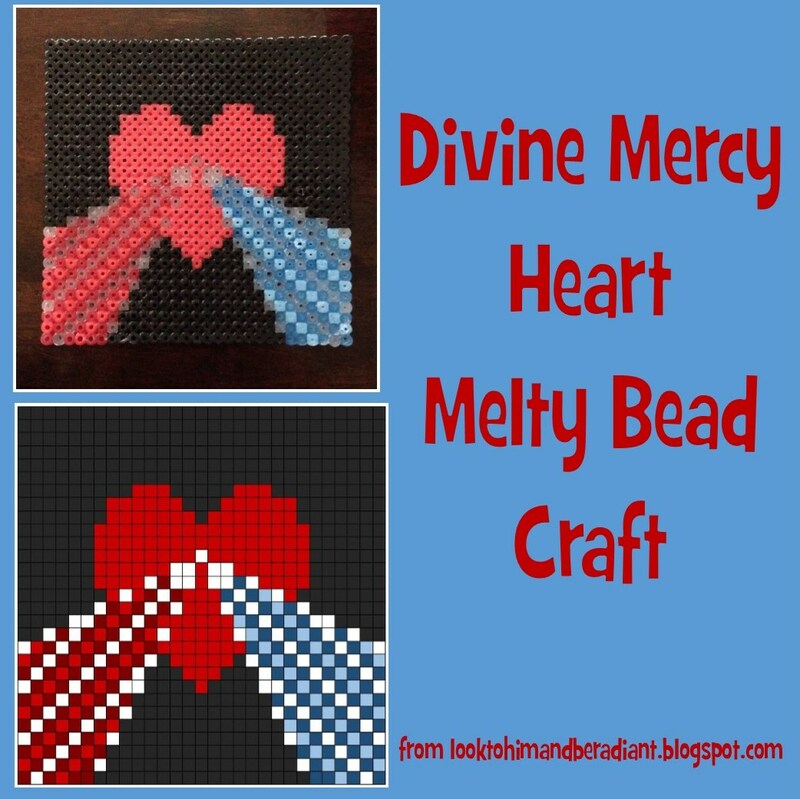 I had fun creating a pattern for this heart of Divine Mercy craft. You can find more info on the image of Mercy here. I also explain how I have taught the symbolism behind the colors and image in this post. I've got a pattern for two different sizes. The big one looks awesome, but is a lot more time consuming and detail oriented. The little pattern would be better for little kids or little amounts of time. You also could skip the black background that makes up the square and just make the heart and rays for a quicker project. I'd love to see the result, Whende! I'm sure the girls can use their own creativity to make them even better!